Financial support for rescue of Tibetan Spaniels comes solely from the Trust. TSCA Rescue will not breed rescue dogs, buy dogs, sell rescue dogs for profit or release a rescue dog for any form of research. Before accepting a dog into its care, TSCA Rescue requests the Trust’s financial support. To qualify for financial support, the dog must be a pure-bred Tibetan Spaniel that has no owner and is homeless for any reason. The Tibbie is identified as owned or bred by a TSCA member is not a rescue. The owner(s) and/or breeder of record is responsible for the dog. A Tibbie who is determined to be a biter, terminally ill, or otherwise unadoptable should be humanely euthanized. A Tibbie is in care of a shelter designated or approved by a governmental body (such as a city or county) for the purpose of animal control. The Tibbie may be in the shelter because it was picked up as a stray and not reclaimed or because its owner surrendered it to the shelter. An owner (or owner’s representative) surrenders a Tibbie, by transferring ownership to the Trust and relinquishing the Tibbie into the care of TSCA Rescue, due to a hardship such as death or permanent disability. These are the most common questions TSCA Rescue receives and where to find more information. Question: Do you have any rescue Tibbies available? Answer: TSCA Rescue keeps a waiting list of people who want to adopt Tibbies. 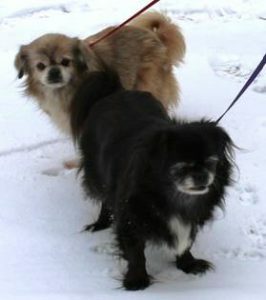 When a rescue Tibbie is ready for adoption, TSCA Rescue sends an email notification to the people on the waiting list. To find out how to receive notification, see Tibbies Available for Adoption. Question: How much does it cost to adopt a rescue Tibbie? Answer: The TSCA Rescue and Health Trust depends primarily on donations to fund rescue. The customary adoption donation is $250, but it varies depending on factors such as the age of the dog and any special needs it may have. The Rescue Coordinator will discuss the donation when notifying the adopter of his/her selection. In addition to the adoption donation, adopters often assume responsibility for other costs, such as airfare. See Adoption. Question: My mother is going into assisted living. She can’t take her Tibbie, and we can’t keep him. We’re going to take him to the county shelter. Can you help? Answer: TSCA Rescue is grateful when we receive questions like this before a Tibbie is taken to a shelter. The Rescue Coordinator will discuss the situation with you and figure out the best solution on a case-by-case basis. See Surrender.